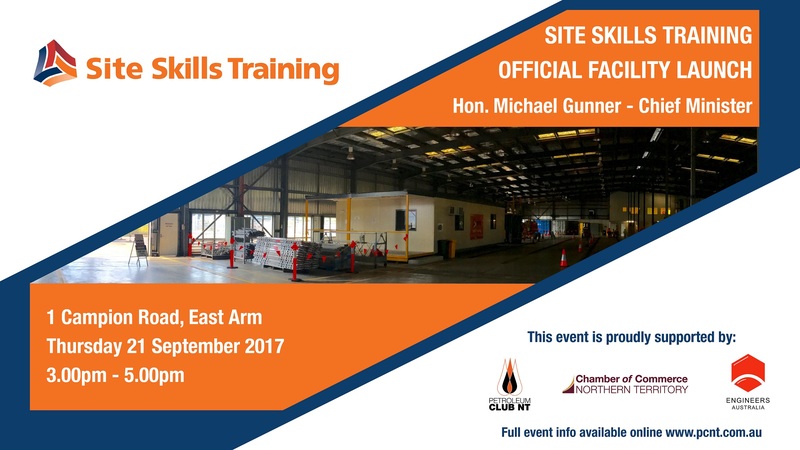 Please join us for the Site Skills Training Facility to be officially launched by Hon. Michael Gunner, Chief Minister on Thursday 21 September from 3.00pm. Site Skills Training, part of Site Group International, is a Northern Territory Registered Training Organisation specialising in delivery of Oil & Gas, Energy, Mining, Construction and related industries. Site, directly and through related companies specialises in Workforce Localisation and Competency Development for Operations and Maintenance crews, working with companies to develop competency frameworks and training needs specific to project/ jurisdictional requirements. Site Skills Training delivers over 4,000 programs a year in the Northern Territory and in the three years 2014-2016 delivered over 90,000 programs around Australia. Site Skills Training is funded for Apprenticeships and Traineeships in the Northern Territory. Site Skills Training has been operating in the Northern Territory since 2012 and in June 2017 took a new, 8,000sqm lease for a training facility in East Arm. Site Skills Training look forward to supporting onshore and offshore operations and maintenance requirements with a focus of local development of a local, skilled workforce.